Sacramento Intersection Crash – A recent intersection crash involved two vehicles that collided head-on in Sacramento. One or more persons were said to have been injured as a result, according to a report by the California Highway Patrol (CHP). An investigation is being conducted by the CHP to determine why the accident happened and to place fault. The collision happened shortly after 4:00 in the afternoon at the intersection of Bradshaw Road and Jackson Road. It has not been determined what caused two of the three vehicles to collide head-on. The accident is thought to have happened when one vehicle driving along Bradshaw hit another traveling along Jackson as the cars passed through the intersection at the same time. It is unknown at the time of this report whether those injured in the crash were transported to a hospital for additional medical treatment. Intersection accidents are some of the most common, comprising 40 percent of all collisions. The top reasons an intersection crash occurs are recklessness and negligence. Some other top causes are ignoring signage telling the driver to stop or running through a red traffic signal. Speeding is another principal cause of such accidents. There are many different designs for intersections. Some have two perpendicular streets crossing one another while others add on a third diagonal one. Crossroads provide the opportunity for many types of traffic maneuvers and hence the chance of an accident. Rear-end collisions: Such accidents are often due to lack of driver focus. The driver to the rear is thinking of something else and fails to notice that the lead vehicle has stopped. Side-swipe accidents: These happen when one or both vehicles are making a turn. T-bone crashes: This type of accident occurs when one driver ignores a stop sign or traffic light and proceeds through the intersection unlawfully, hitting another vehicle passing through. Pedestrian/bicyclist accidents: Accidents between motor vehicles and pedestrians or bicyclists occur and generally cause serious injury. Head and brain trauma: Traumatic brain injuries commonly occur in head-on collisions because of the force involved. Brain and head injuries may range from simple concussion to hemorrhage and fracture of the skull with swelling. 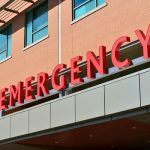 Abdominal trauma: These types of injuries happen when the body moves rapidly forward and connects with the steering wheel or dash. It may include internal bleeding or damage to one of the organs such as the spleen or intestines. Spinal cord damage: The back and spine can be damaged by the sudden and violent impact of a head-on crash. 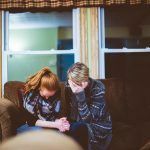 This often results in either partial or total paralysis. Chest trauma: A forceful impact with the steering wheel or an airbag can injure the ribs, heart, and lungs. Fractures: Both upper and lower extremity fractures are common in an intersection crash. I’m Ed Smith, a Sacramento Car Accident Lawyer. 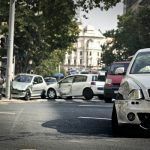 If you have been in an intersection crash, you’ll need the help of an experienced injury lawyer. Reach out to me at (916) 921-6400 for free and friendly advice. If you are out of the area code, just use my toll-free number (800) 404-5400. In addition, you can go to our convenient online contact us page. 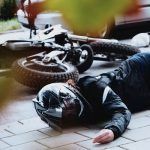 I’ve helped numerous Sacramento residents for the more than 36 years to obtain the compensation they deserve in traumatic head injury, motorcycle accident and wrongful death cases among others. I’ve been honored with membership to the Million Dollar Advocates, a nationwide forum of trial lawyers who have won $1 million for a client. 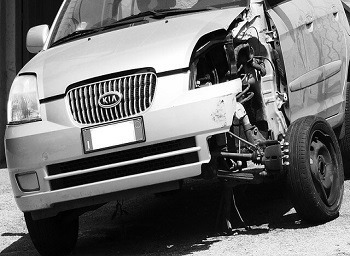 Photo Attribution: https://pixabay.com/en/car-wrecked-accident-collision-845143/Sacramento Intersection Crash.